When it comes to Benefit powders, I feel like I am super late to the party. I finally got round to trying Hoola at Christmas (the light is perfection BTW) and I’ve been using it pretty consistently ever since. So, when a super cute, super pink email dropped into my inbox telling me all about the brand’s newest blush, I wasn’t going to wait around. Instead, I got my paws on it as quickly as I possibly could, and I’m so very glad I did. 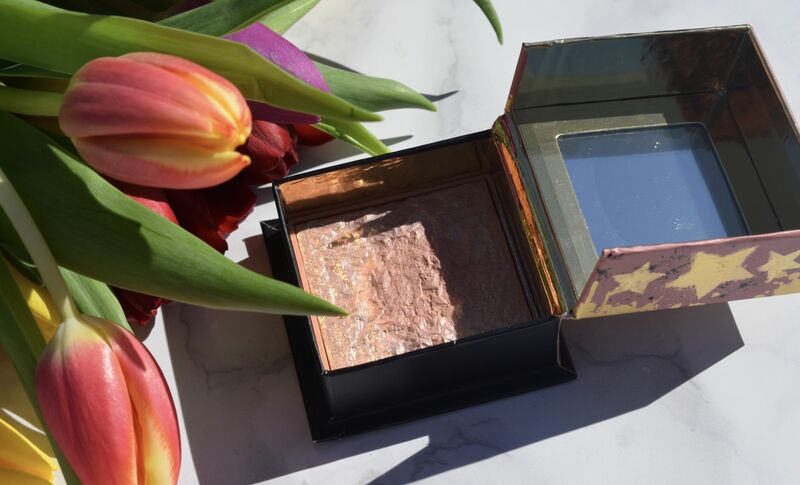 Described as a ‘rich golden nectar’ it’s been designed to flatter all skin tones, and it feels perfect for Spring. It’s also, quite unusually scented with notes of citrus, vanilla and sandalwood, so it’s a real experience to apply each morning. 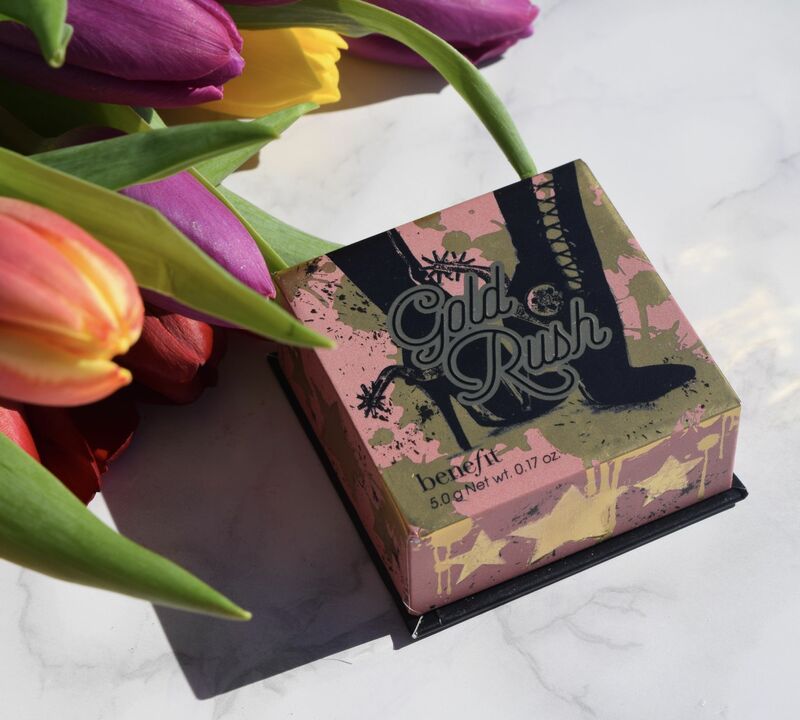 Since I’m naturally quite pink-toned, I tend to veer away from bright blushes, but Gold Rush feels like a sophisticated offering. I’ve been wearing it with a light foundation, and a little bronzer, with the blush swept lightly over the apples of my cheeks. 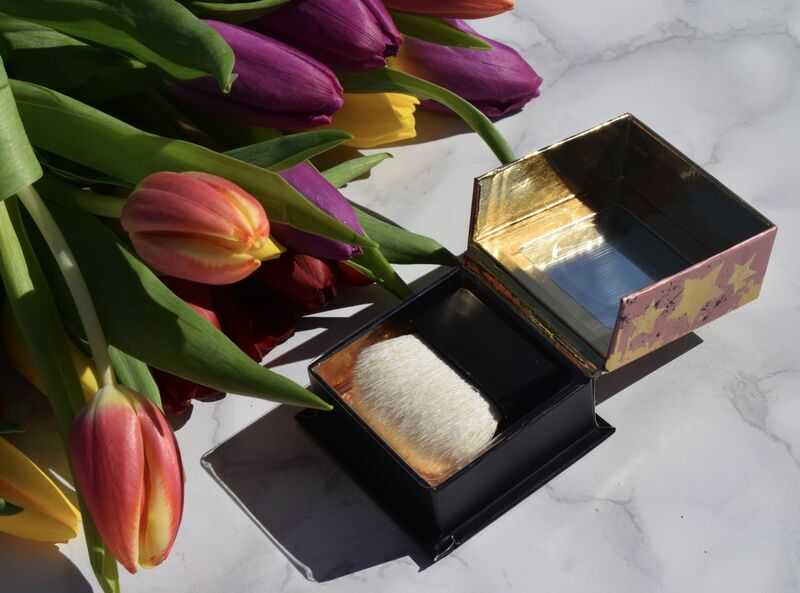 The silky soft powder is finely milled, and gives skin a real lit-from-within glow. 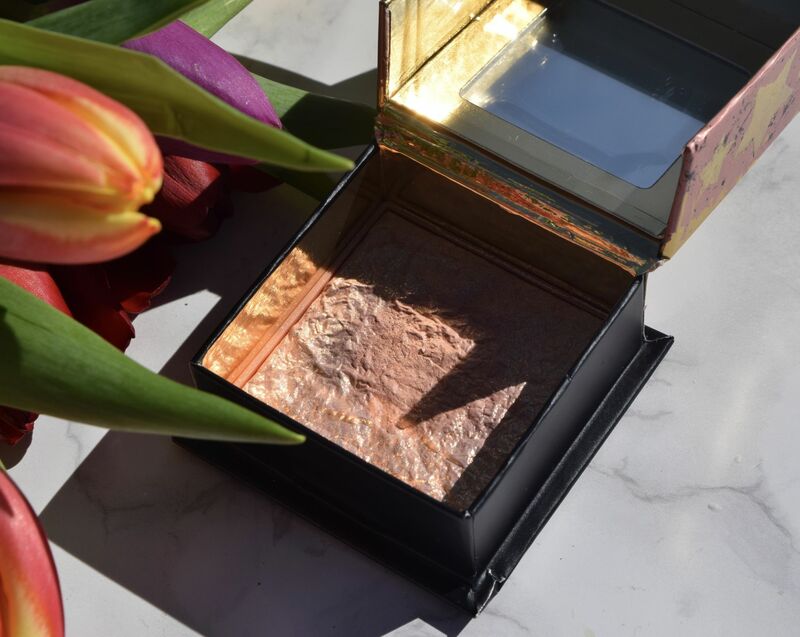 Although it looks super gold when the blush is new, it’s just an overspray, which lifts to reveal a warm peachy shade, shot through with subtle golden flecks. 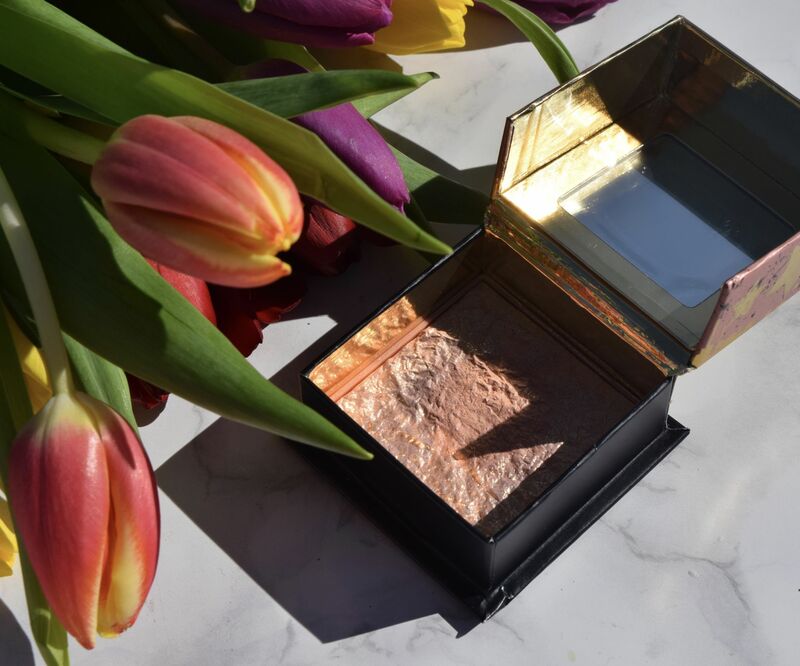 It gives skin a real perfected look, with a pretty sheen, which means you can leave the highlighter back at home. I’m absolutely in love with it for days when I want to look natural, but still put together. It’s also absolutely glorious as a warm-toned eye colour.